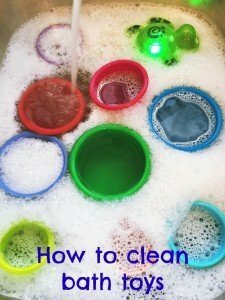 Quick and easy tips that will keep your bathroom clean, fresh and ready to use. Every time you use the bath/shower give it a quick spray and wipe down with a soft sponge. This will keep soap scum in check and also leave it sparkling clean ready for the next use. Every day take just a couple of minutes to do a speedy wipe and swipe of the toilet and wash basin. Use disposable antibacterial wipes to cut time. Take a wipe and quickly wipe down the wash basin and taps then using the same wipe move on the the toilet, wiping the flusher and seat. 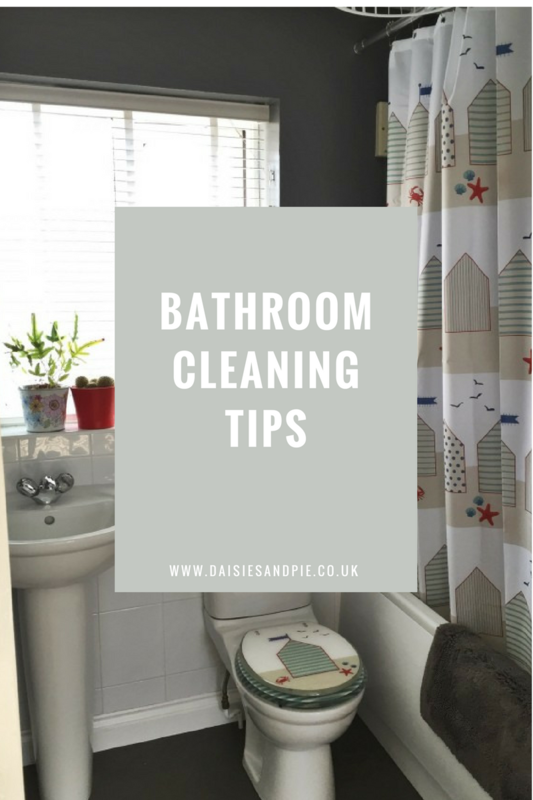 Every week do a thorough clean of the bathroom, this will only take you 15-20 minutes if you keep on top of cleaning up as you go. For a printable checklist head over to our Weekly Housework Routine. Fresh air – keep the bathroom smelling and feeling fresh by opening the windows wide at least once a day and giving it a really good air. Avoid mildew by drying shower curtains in-between use, just leave them pulled fully closed so that the water from inside the folds can dry. This will help to stop mildew and stale smells. Wash towels regularly – fresh fluffy towels always make the bathroom look clean and ready to use. Towels don’t need washing after every single use but they do need opening up and drying properly to avoid musty smells. Check out our guide on the best way to wash and care for your towels. Shine your taps or chrome fittings using baby oil – add a dab to a soft cloth and rub then buff, it removes water marks and leaves the surface super shiny. Clean the mirrors with shaving foam, spray a small amount of foam onto the glass, rub with a dry cloth and buff until shiny. For a non-toxic way to clean the bath try out our natural homemade bath cleaner – this gentle formula with no harsh chemicals with leave the bath squeaky clean. Keep tiles shiny and clean with a homemade window cleaner spray, no chemicals just squeaky clean tiles. If your little ones have a tub full of toys you can follow our tips and tricks on keeping them clean and mildew free. 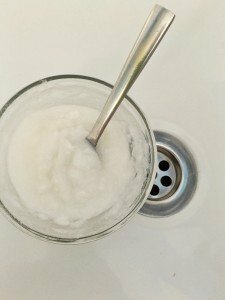 Bathroom cleaning products we love!